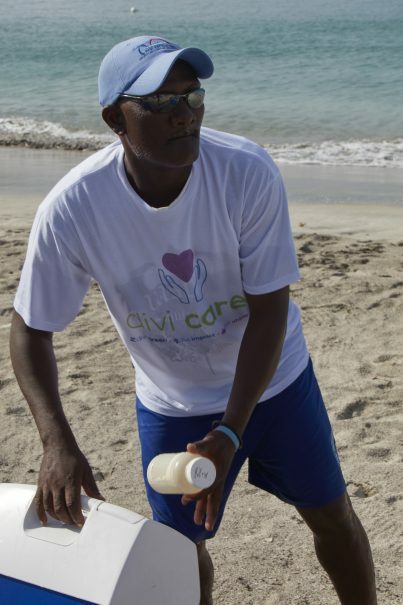 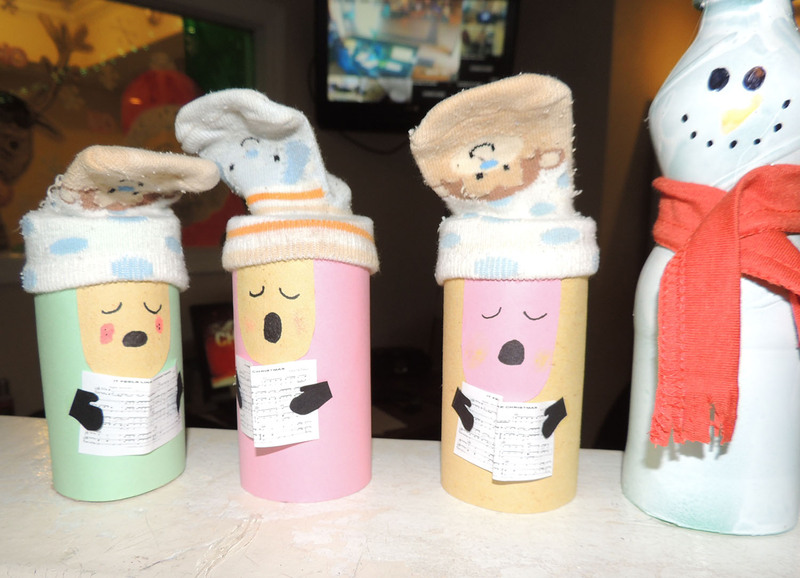 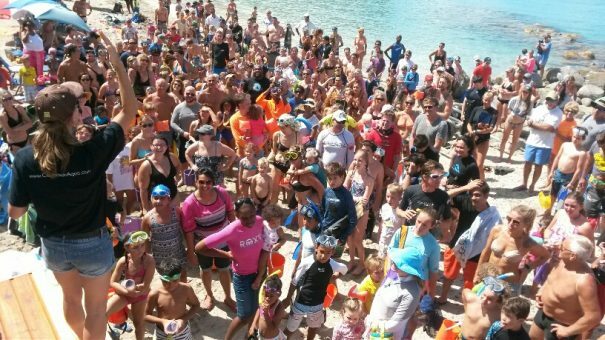 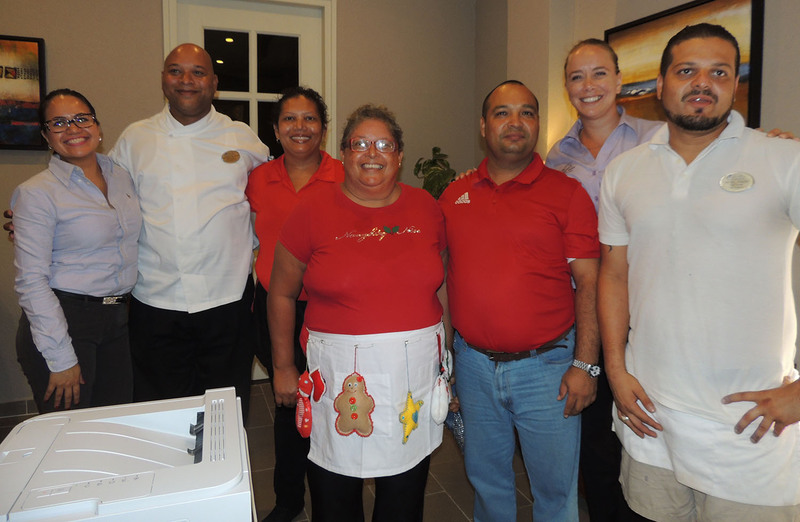 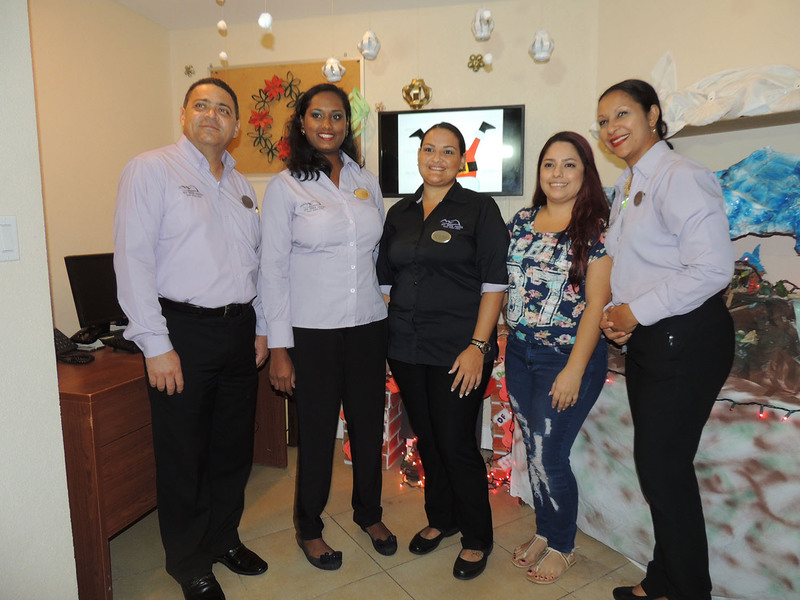 This year, Divi Aruba Phoenix Resort came up with an original and refreshing idea. 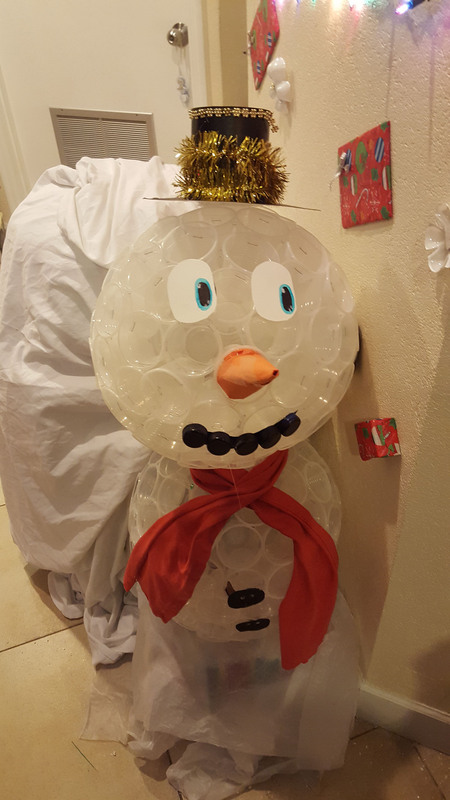 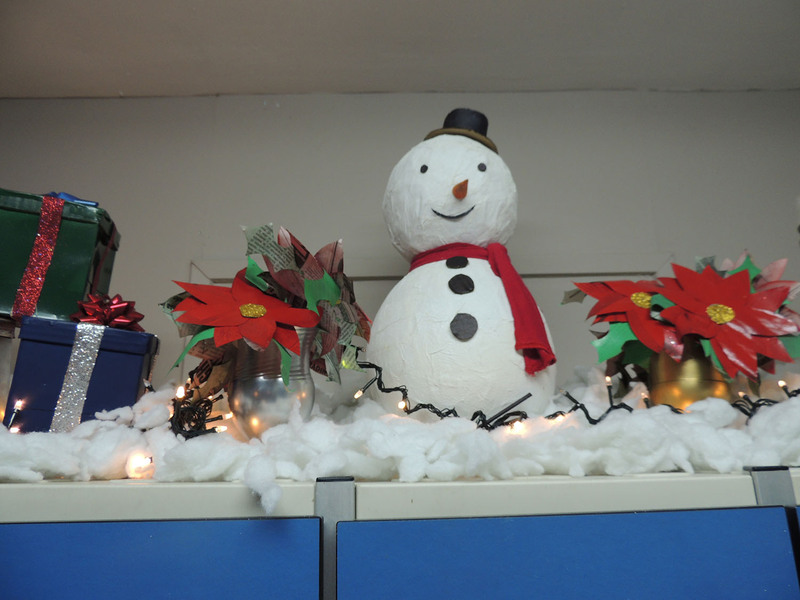 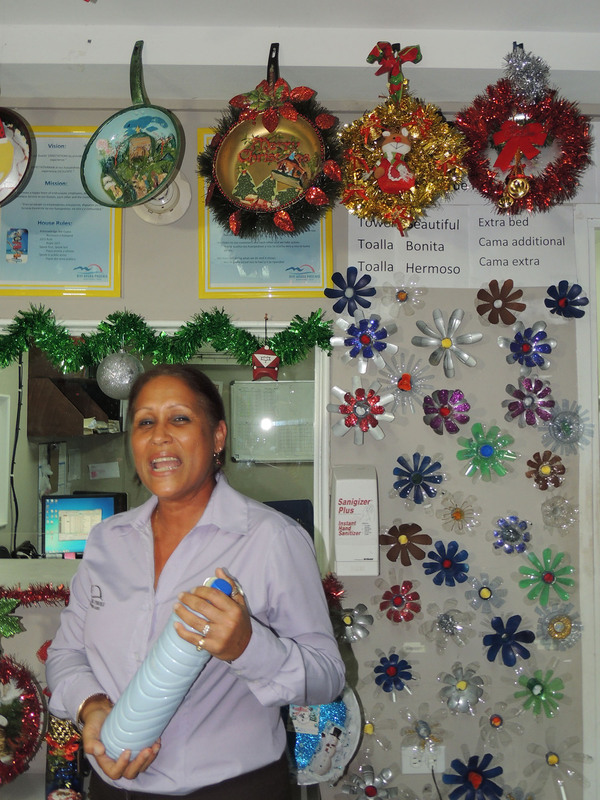 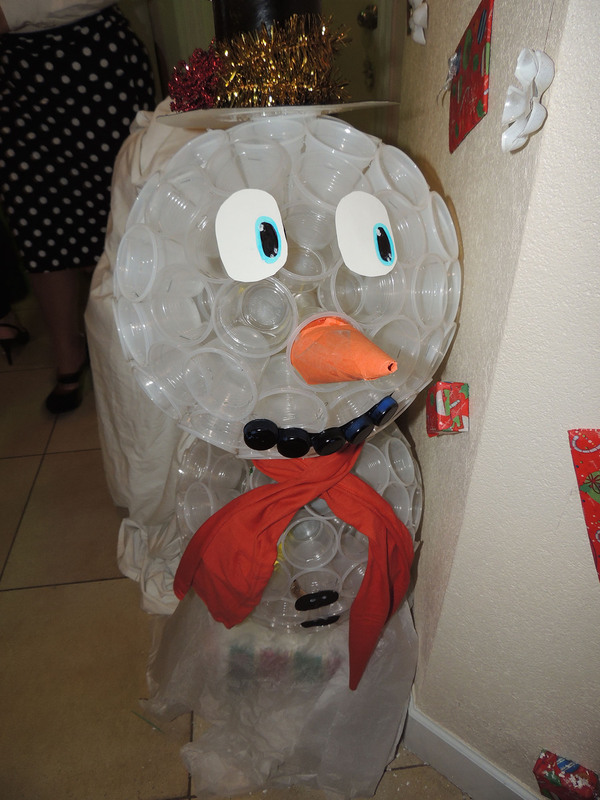 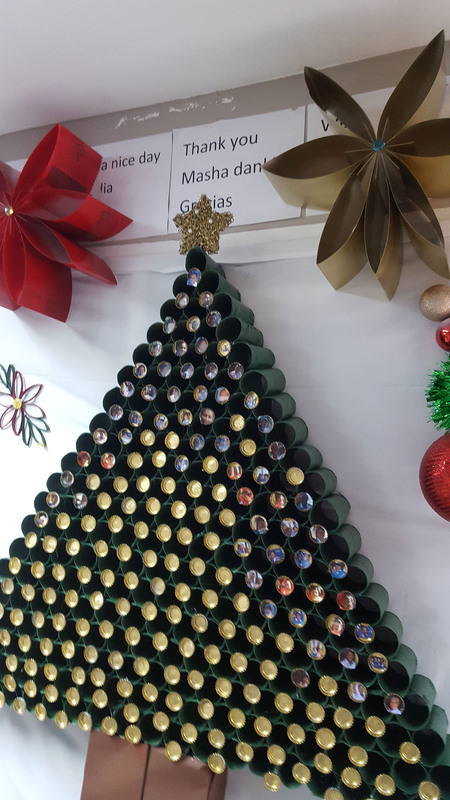 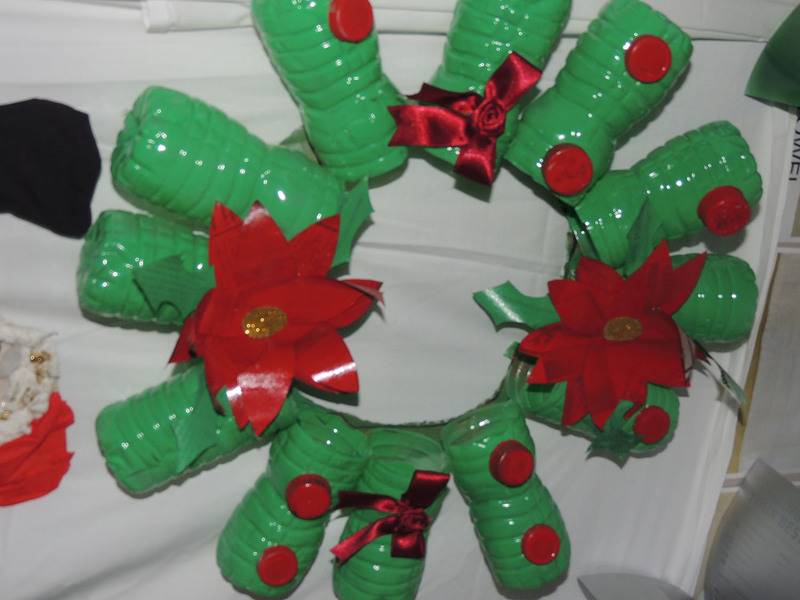 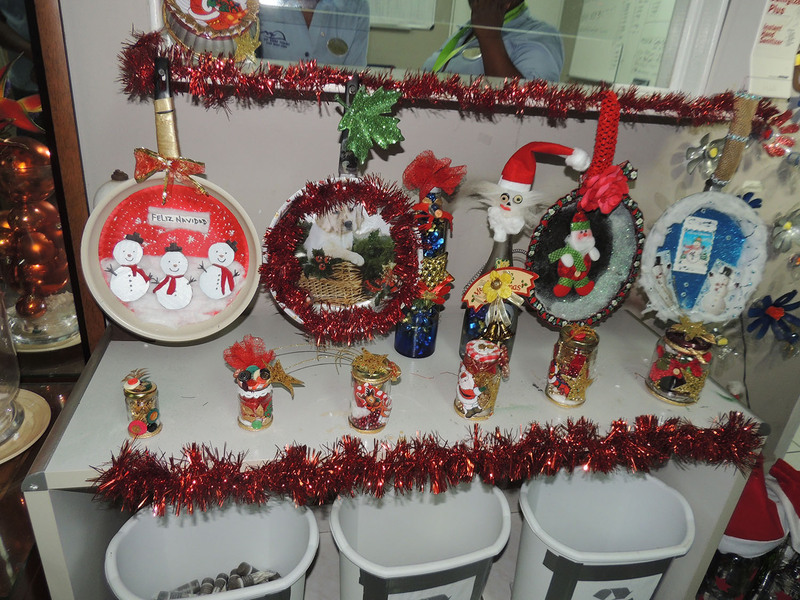 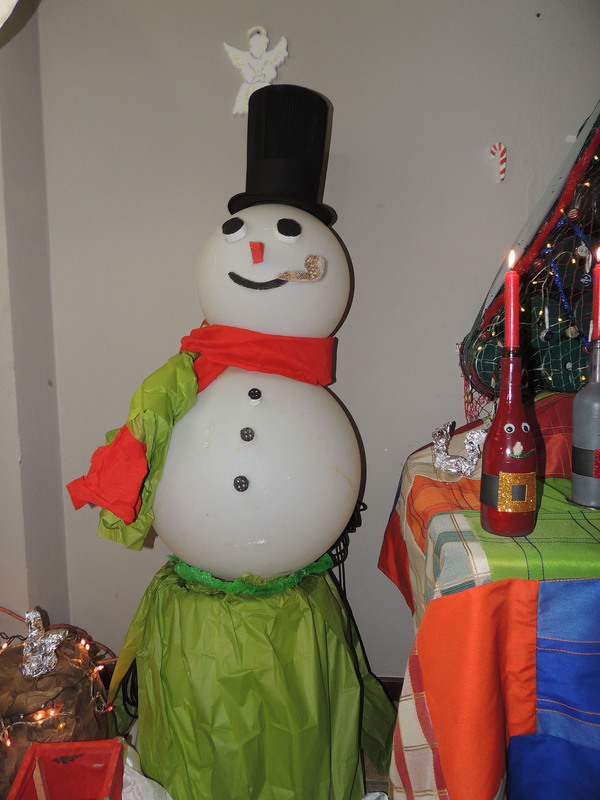 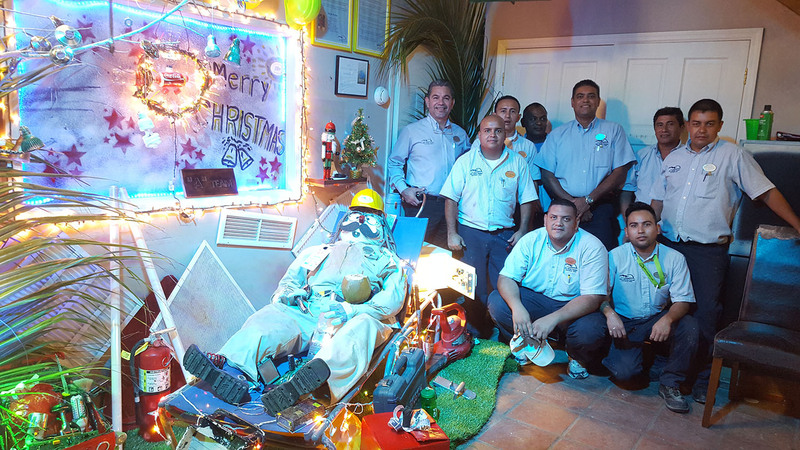 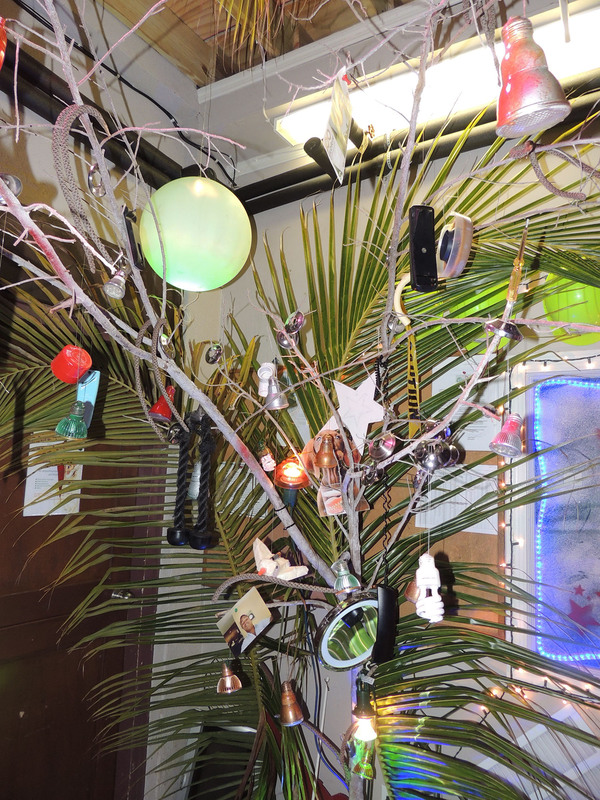 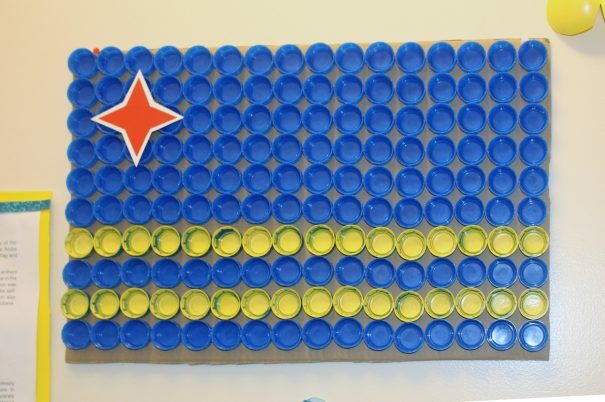 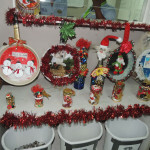 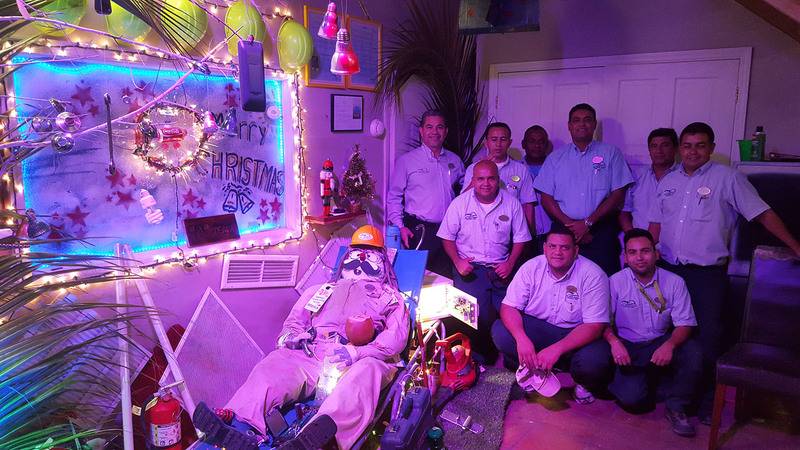 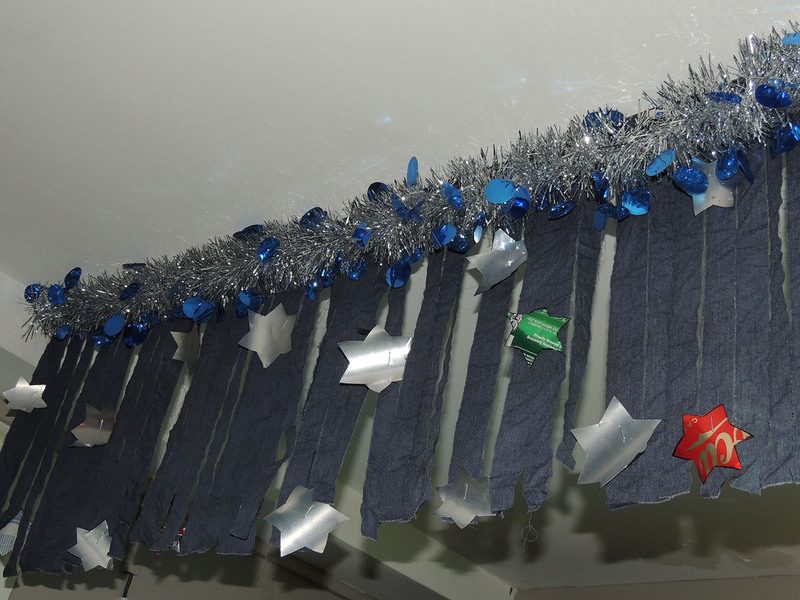 General Manager Gerrit Griffith, in collaboration with his department-heads, decided to challenge all employees and present them with a fun concept, a departmental decoration contest, in the spirit of the season, focusing on 100% recycled materials. 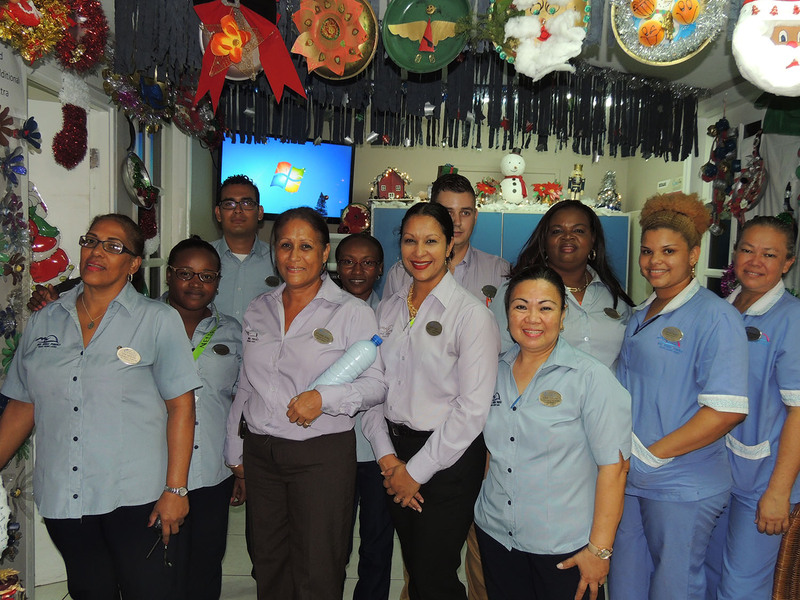 Mr. Griffith had the pleasure of walking the local press through the wonderfully decorated six resort departments including housekeeping, engineering, food & beverage, front office, sales and landscaping. 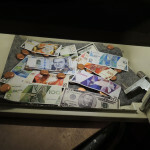 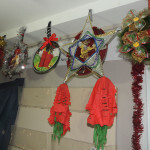 Each department came up with original styles, techniques and materials and, dedicating the past 6 weeks to the execution of their ambitious plans. 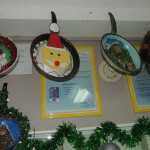 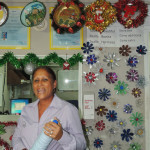 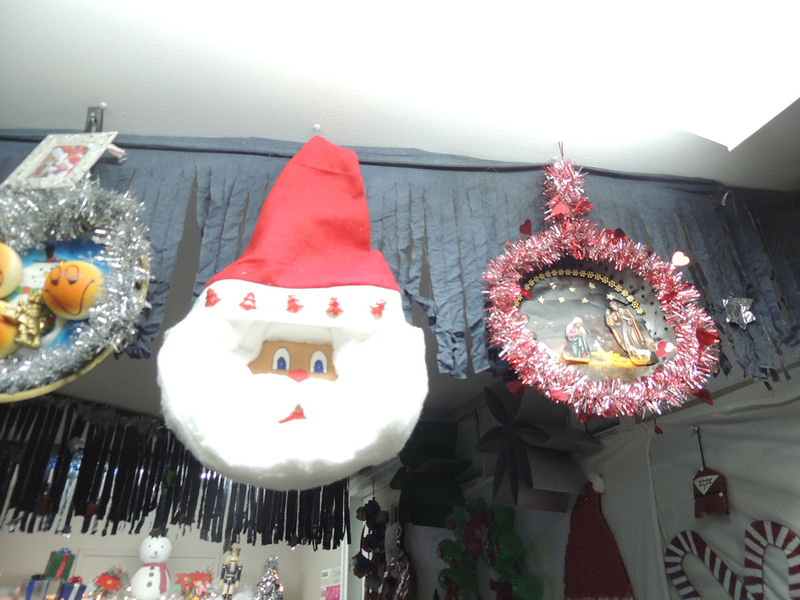 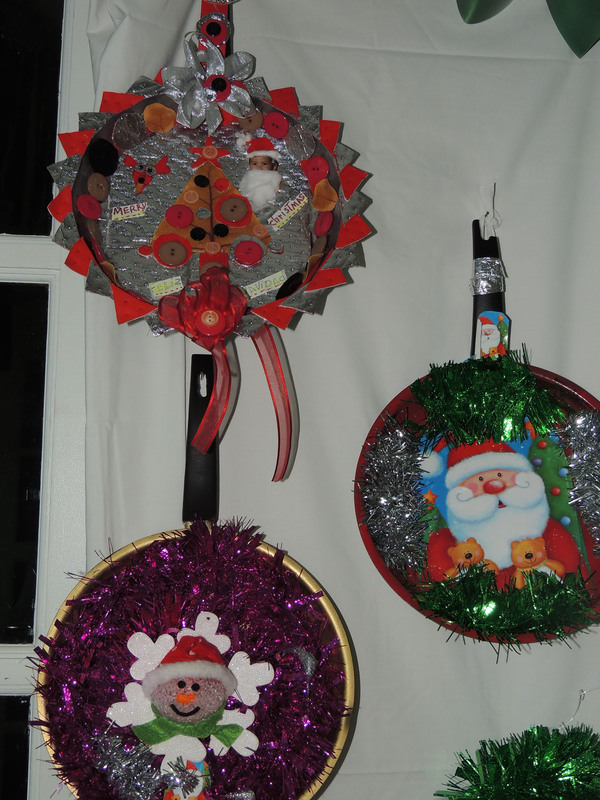 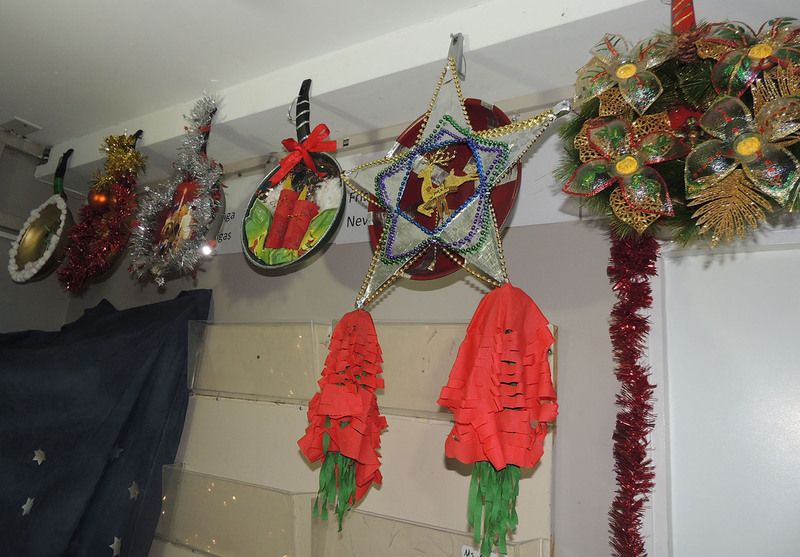 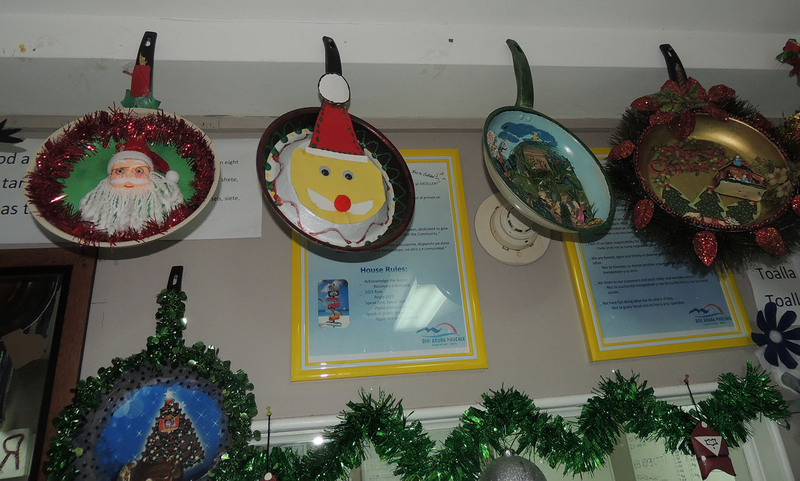 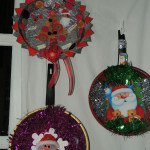 At the Housekeeping Department, old frying pans received individual treatment, transformed into brilliant holiday decorations. 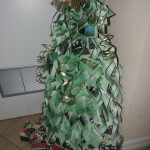 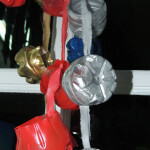 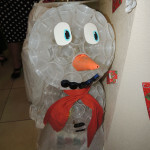 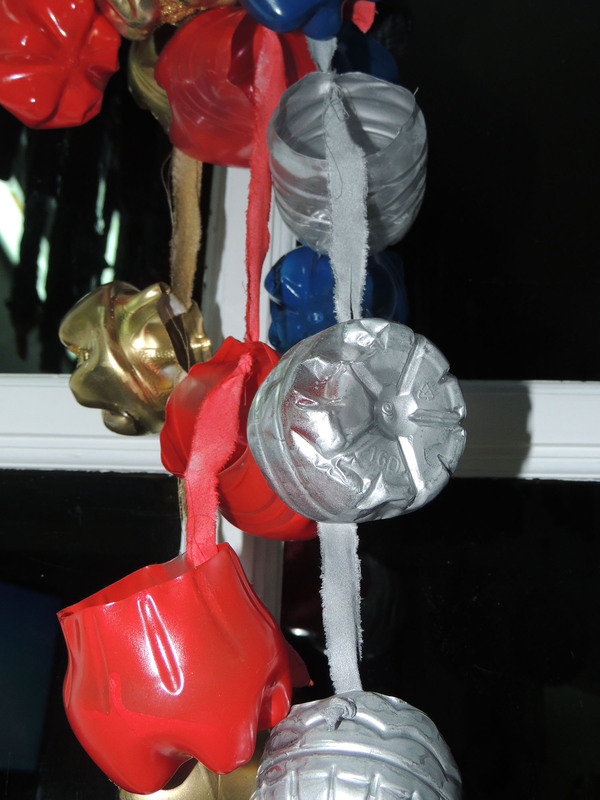 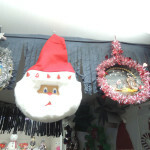 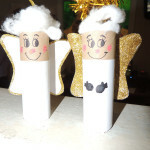 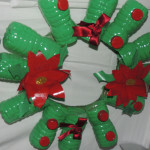 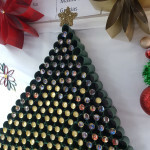 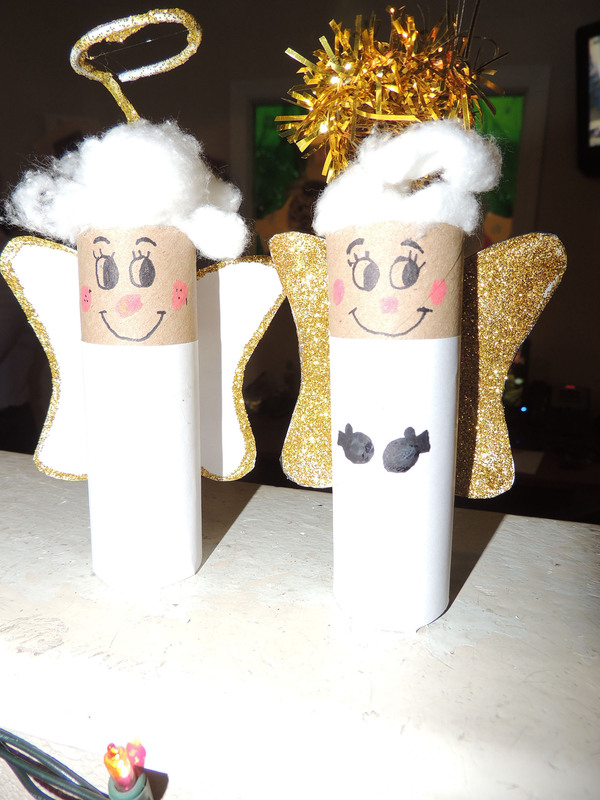 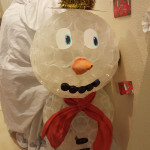 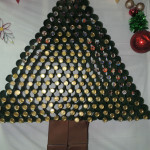 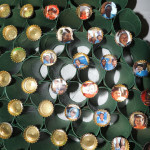 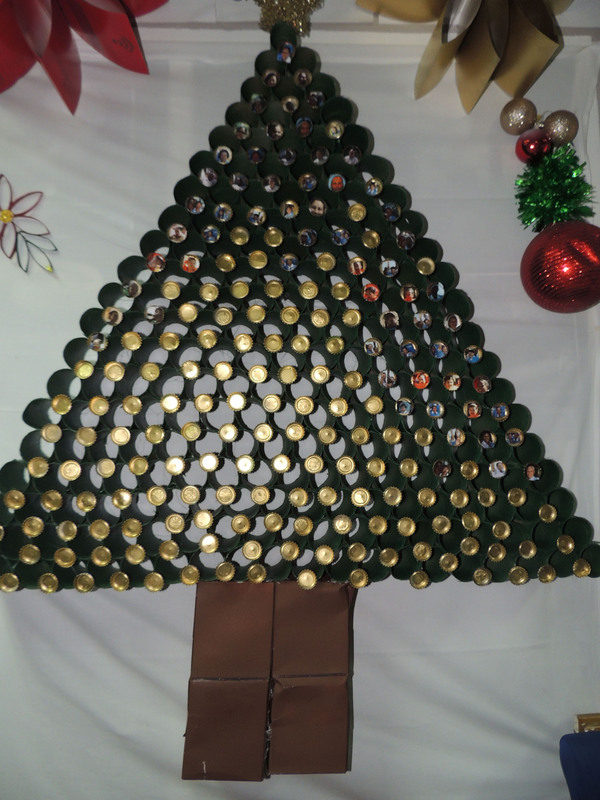 Plastic bottles and caps, toilet paper rolls, cardboard dividers, paper napkins, and aluminum cans, morphed into traditional Christmas ornaments and center pieces at hardly any cost. 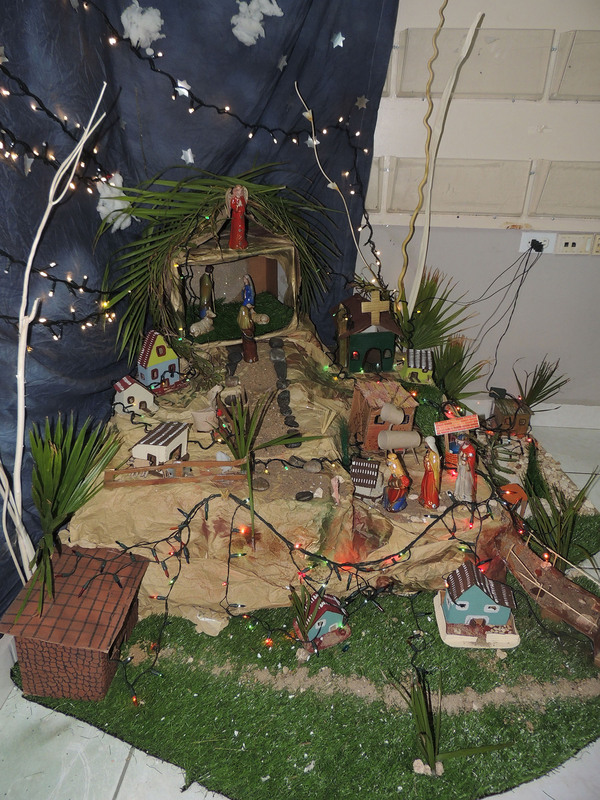 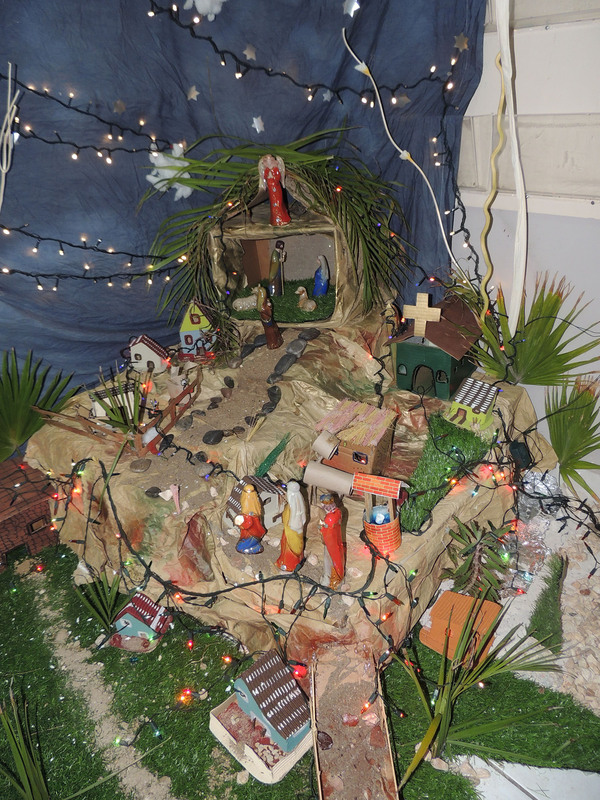 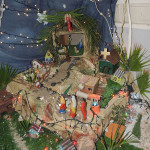 A large, finely detailed nativity scene was added to the decor, with old dyed sheets as a backdrop. 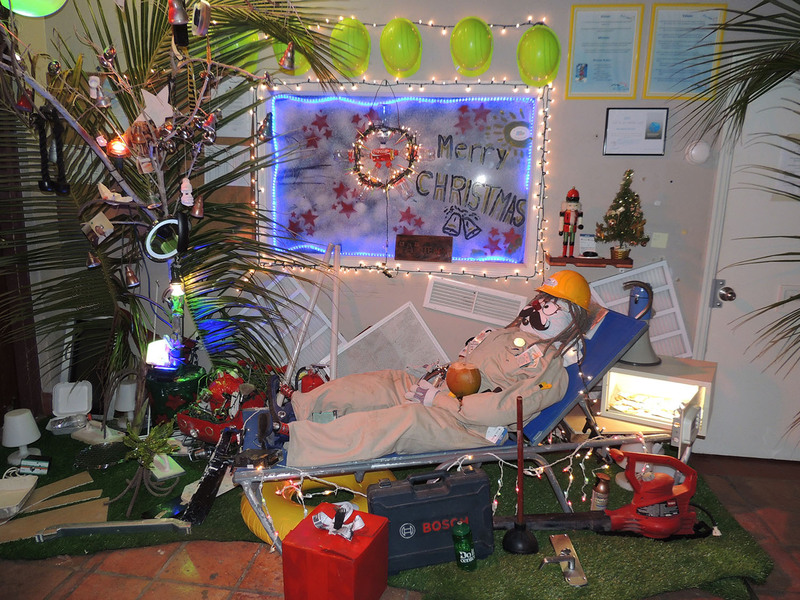 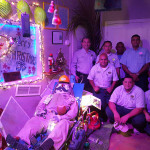 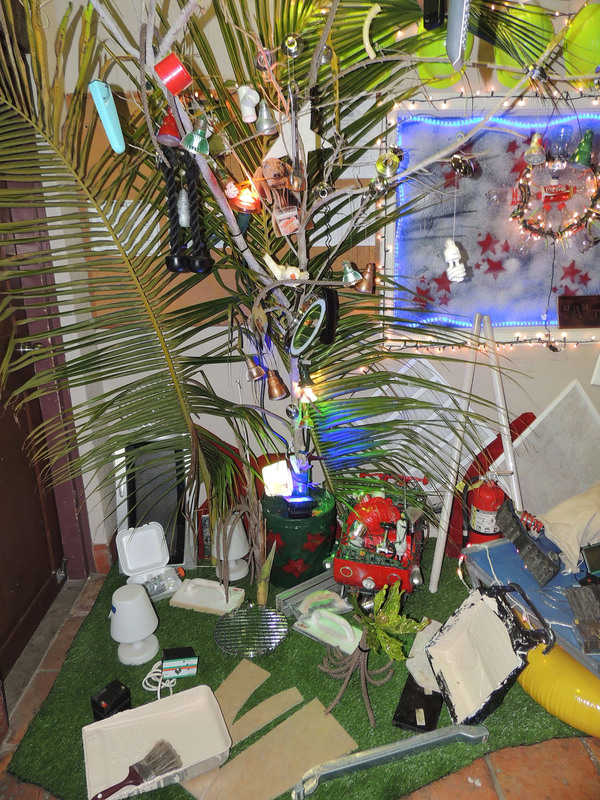 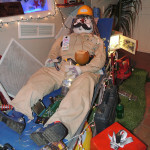 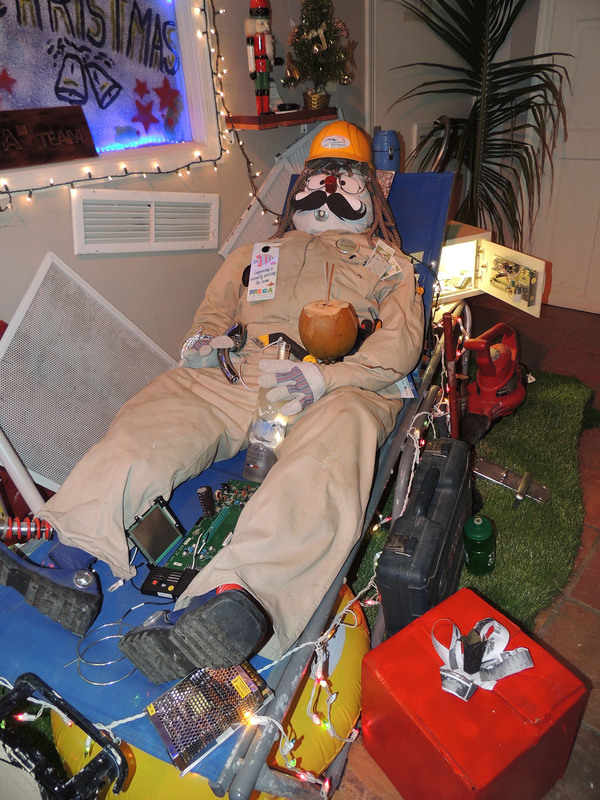 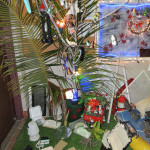 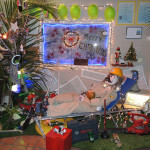 At the Engineering Department, a full size Santa in work coveralls and hard hat, lounging on a beach chair, enjoys a unique Christmas tree adorned with nuts, bolts, and spare parts, anything from discarded remote controls, to old tools and empty boxes. 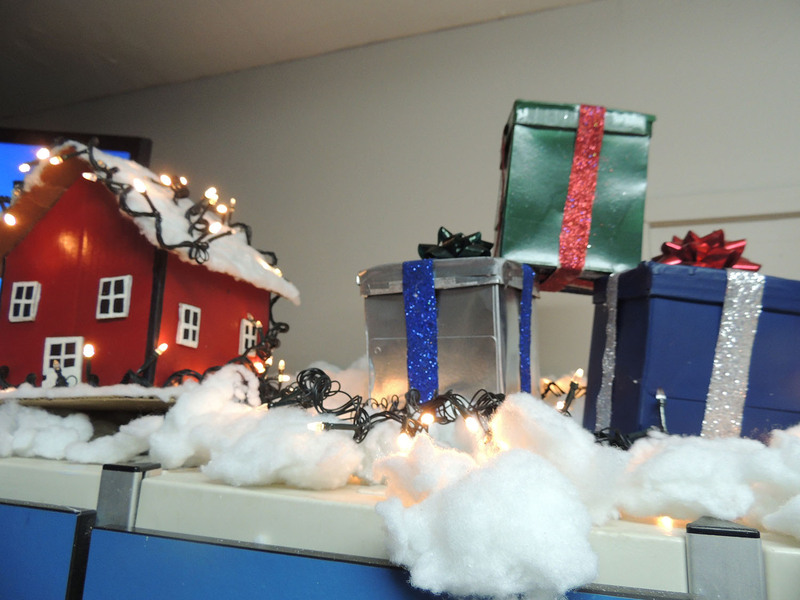 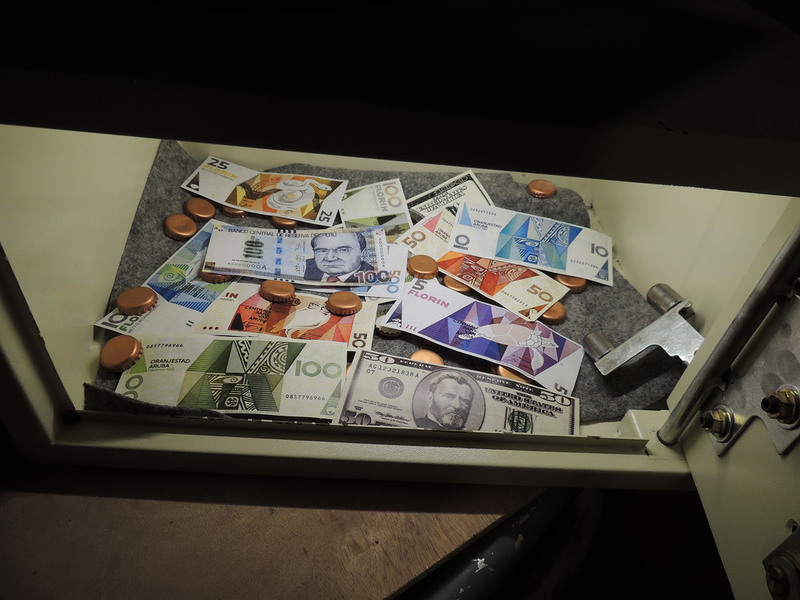 The content of the bottom of the engineering department drawers received a facelift, a coat of paint, and became exciting Christmas ornaments. 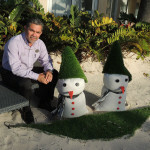 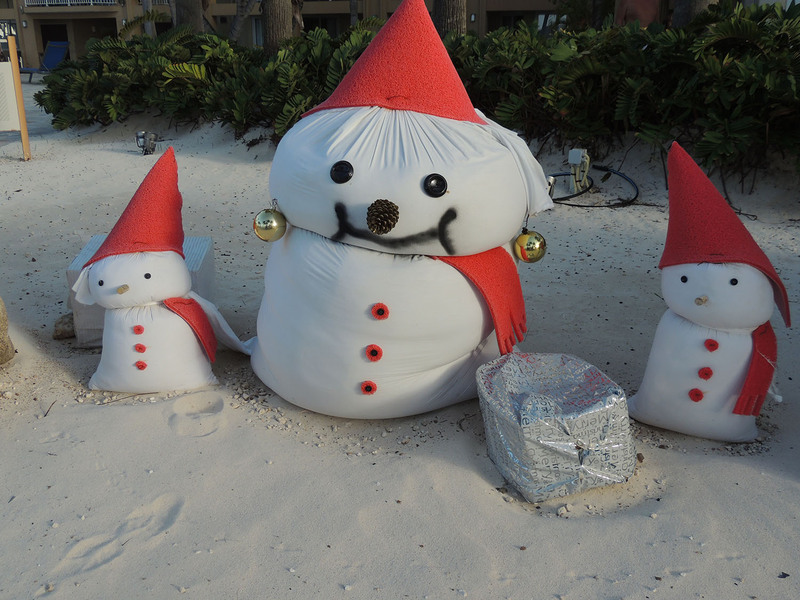 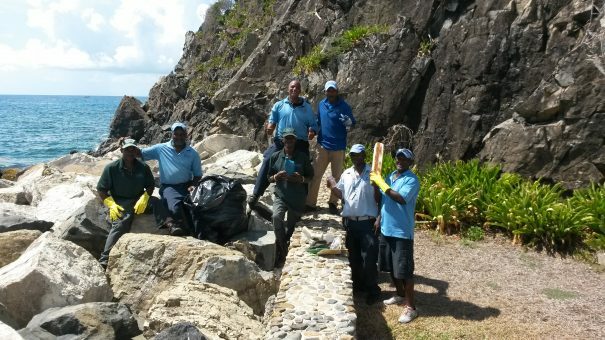 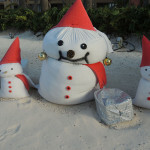 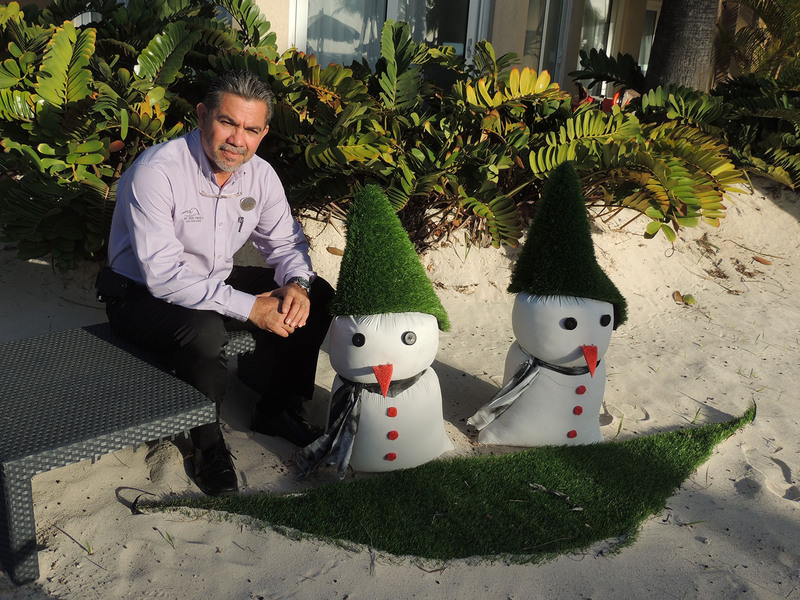 While the Front Office Department focused on small details and surprising elements, The Landscaping Department thought big, filling old pillow cases with sand and creating a group of snowmen at the beach front garden, a much appreciated photo opportunity for the guests. 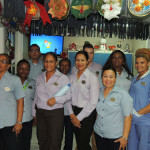 This team building competition, explains Griffith, was created so that staff members working various shifts can still work together on the overall look of their department. 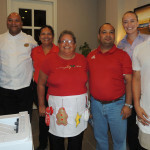 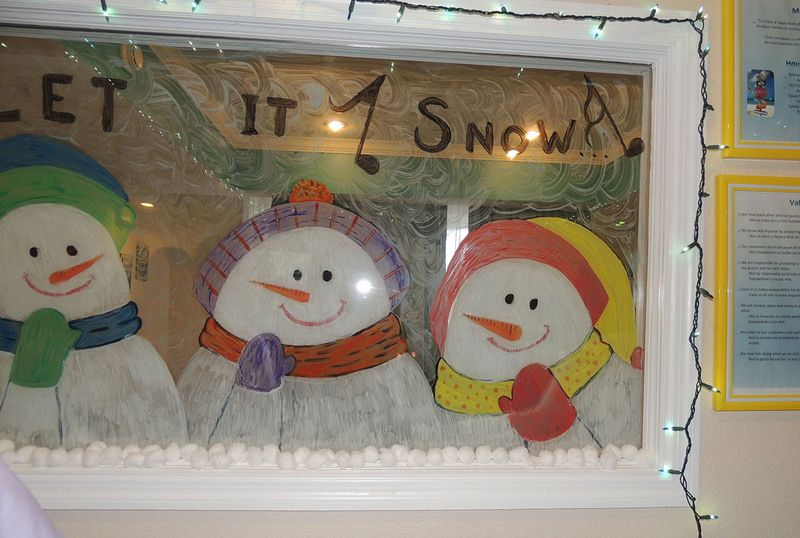 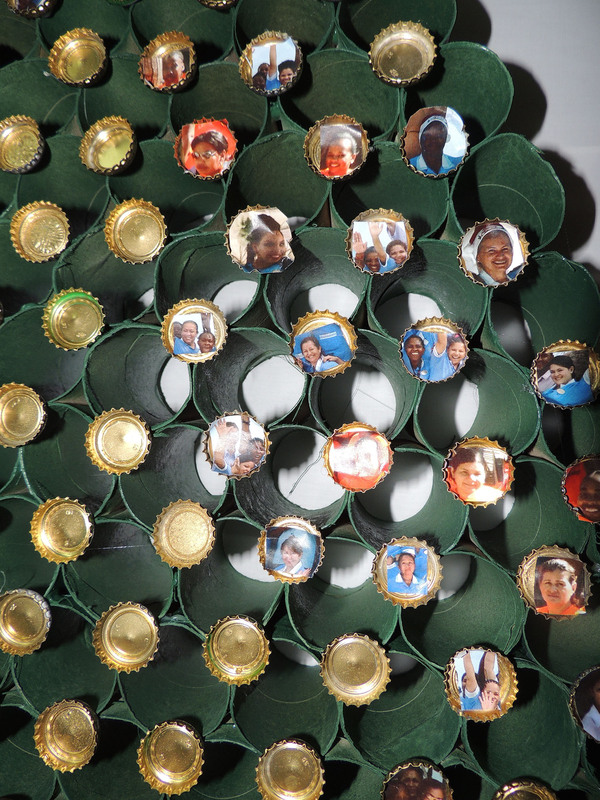 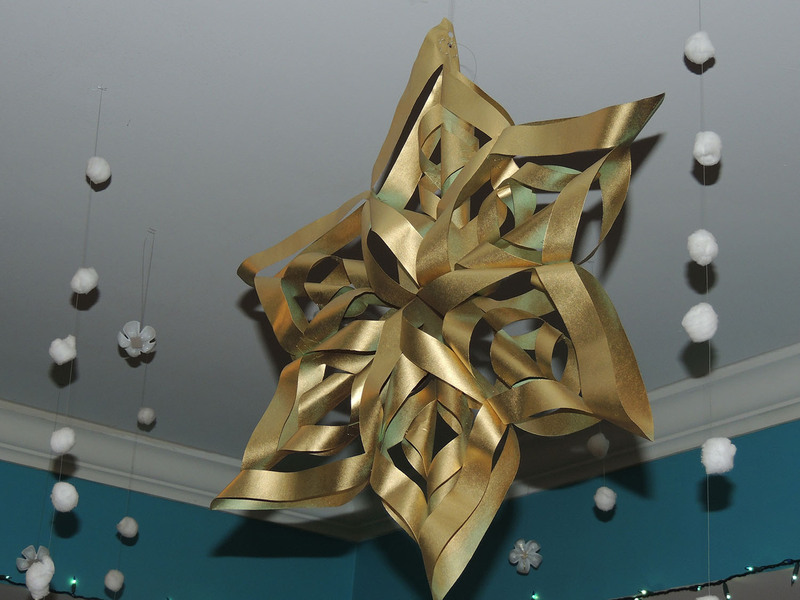 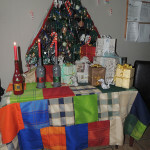 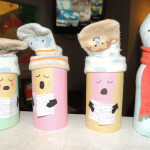 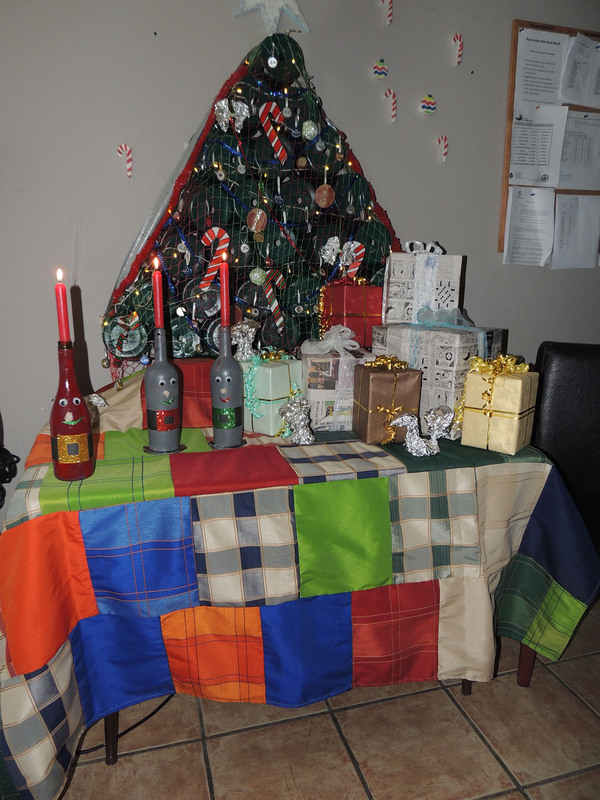 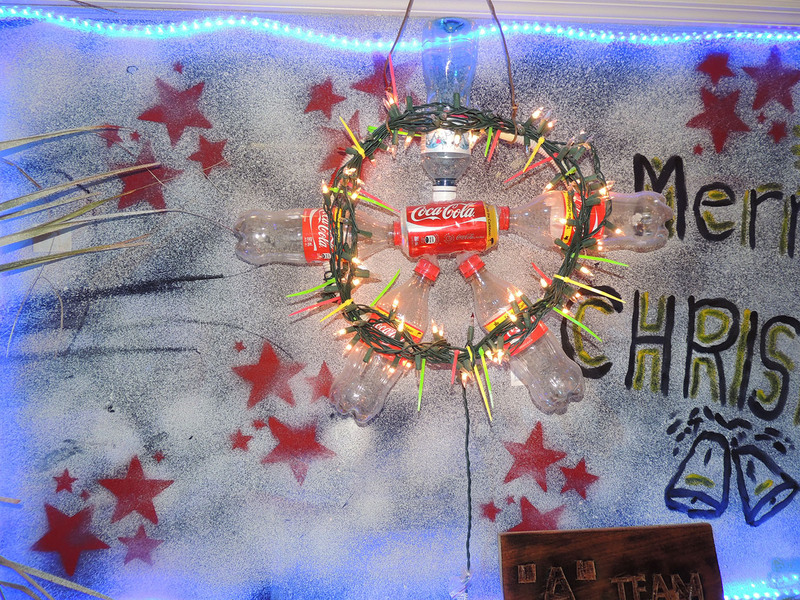 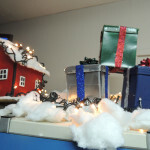 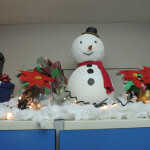 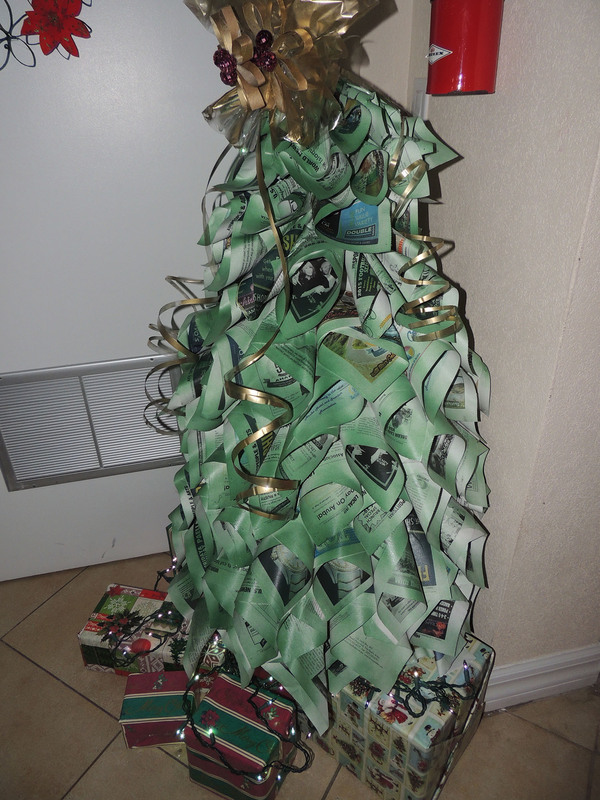 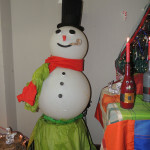 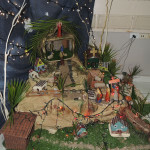 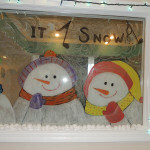 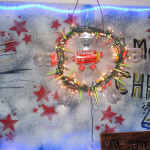 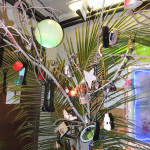 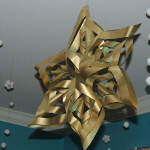 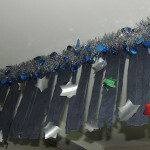 It resulted in a creative atmosphere, with sustainability in mind, in honor of the upcoming holiday season. 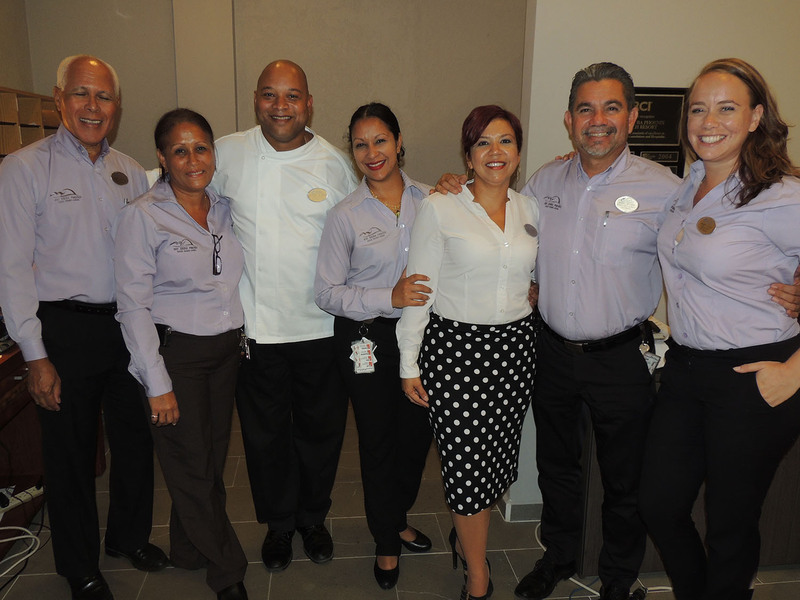 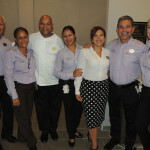 Press was invited for a tour on Wednesday while on Friday, a panel of judges visited the departments and selected the winners: 1st Overall – Front Office Team, 2nd Overall ; Housekeeping Team & 3rd Overall – Food & Beverage Team . 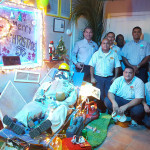 We applaud their initiative and appreciate the concept and staff members who supported it!